Discussion in 'Puritan Publications' started by C. Matthew McMahon, Feb 12, 2019. In this masterful treatise on temptation, Capel explains that God’s honor is on the line, and what will Christians do to uphold his honor amidst those temptations? Will they give in easily, or will they fight? Do they know how to fight? Are they successful in their fight? How do they know? 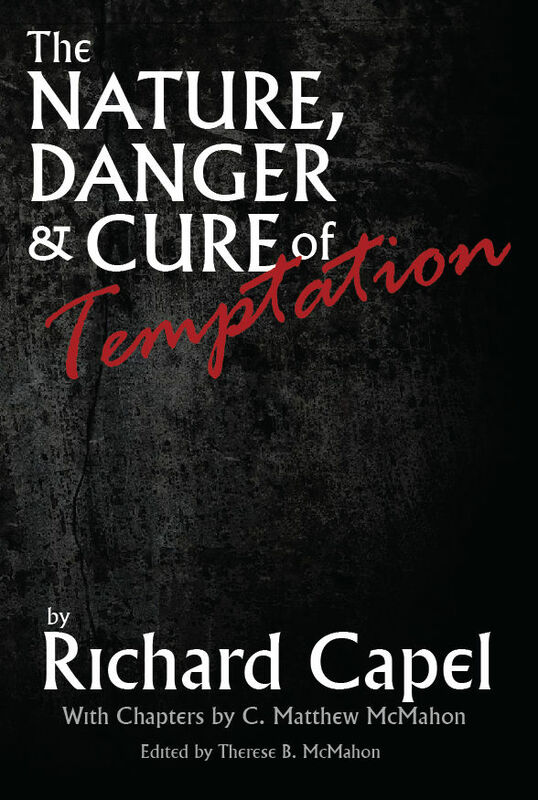 Capel explains the substance of a temptation (what it is), what it means that one is drawn aside into temptation, what being enticed to sin means, and what it means to be tempted to lust (lust being a hinge for all temptation). He will show how temptations come from the world, the flesh and the devil. He gives general rules for dealing with temptations, as well as specific remedies to fight against them. He is particularly keen on dissecting the way Christians ought to resist all temptations to sin, and what the order of resisting is in doing so. He shows that no temptations can be won over without the power of Christ through the Spirit, and how that work is accomplished in God’s people. A most excellent section to this treatise is Capel’s vivid depiction of how one sin (which a Christian falls into by a powerful temptation) will give way to other sins. How deep-buried sins (not regularly seen) are actually the foundation of other temptations to sin which the Christian looks to cast off, but cannot, until the original deep-rooted sin is cast out first. That section is worth its weight in gold for the Christian who desires to live victoriously against all sin for the glory of Jesus Christ. This work is not a scan or facsimile, has been carefully transcribed by hand being made easy to read in modern English, and has an active table of contents for electronic versions. Get the eBook here at Puritan Publications. Get the Kindle Version here or Amazon's printed version here.